ON DISPLAY APRIL 4-MAY 18, 2012 AT THE MILLE LACS INDIAN MUSEUM! 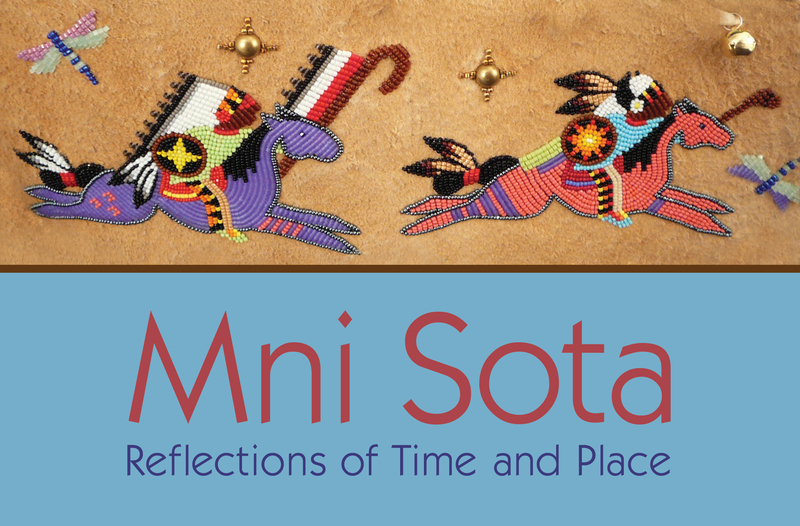 Mni Sota: Reflections of Time and Place is the largest curatorial exhibit of contemporary Native American fine artists in Minnesota. 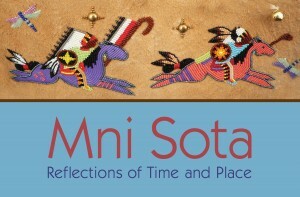 For the first time, 70 extraordinary works by 17 Native American artists from the Mni Sota (Minnesota) region are on view together at the Mille Lacs Indian Museum from April 4 – May 18, 2012. An opening reception with the exhibiting artists will takes place Friday, April 6, 2012 from 5:00–8:00 p.m. There will be a Birch Bark Arts demonstration from 5:00-6:00 p.m. with Pat Kruse and Denise Lajimodiere. This extraordinary traveling exhibit showcases the innovation and beauty of Native American artists whose ingenuity promotes cultural continuity. The artists of Mni Sota provide stunning examples of ways in which Native artists of the Minnesota region continue to embrace the contemporary while supporting tradition. Featured artists in this exhibit include: Greg Bellanger, White Earth Band of Ojibwe; Todd Bordeaux, Sicangu Lakota and Dakota; Carol Charging Thunder, Oohenunpa and Oglala Lakota; Pat Kruse, Leech Lake Band of Ojibwe; Denise Lajimodiere, Turtle Mountain Band of Ojibwe; Orvilla Longfox, Assiniboine; Melvin Losh, Leech Lake Band of Ojibwe; Cheryl Minnema, Mille Lacs Band of Ojibwe; Wanesia Spry Misquadace, Fond du Lac Band of Ojibwe; Sandra Panachyse, Canupawakpa Dakota and Mishkeegogamang Ojibwa; Joe Savage, Fond Du Lac Band of Ojibwe; Chholing Taha, Cree First Nations; Cecile Taylor, Spirit Lake Dakota and Turtle Mountain Band of Ojibwe; Gwen Westerman, Sisseton Wahpeton Dakota; Delina White, Leech Lake Band of Ojibwe; Bobby Wilson, Sisseton Wahpeton Dakota; and Francis Yellow, Itazipco Lakota. Native American Community Development Institute is a fiscal year 2011 recipient of a Folk and Traditional Arts Touring Exhibition grant from the Minnesota State Arts Board. This activity is funded, in part, by the arts and cultural heritage fund as appropriated by the Minnesota State Legislature with money from the Legacy Amendment vote of the people of Minnesota on November 4, 2008.